Almost every business is required to process payroll on a weekly, bi-weekly, or monthly basis. It’s critical, then, that businesses streamline the process; payroll not only affects an organization’s net income, but is also subject to everchanging taxes and regulations. Payroll errors - even honest accounting mistakes - can cause severe repercussions. Because of these complexities, it can be difficult for businesses to ensure that employees are paid accurately and on time. Reliable payroll software that helps automate the process is invaluable. 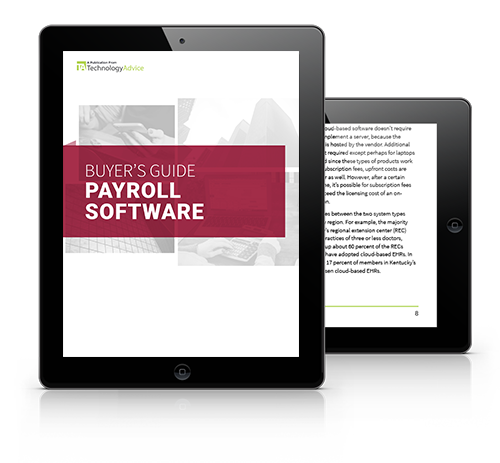 This guide details functionality every payroll solution should offer, key points for businesses when they compare payroll software, and leading payroll software case studies for organizations of any size.